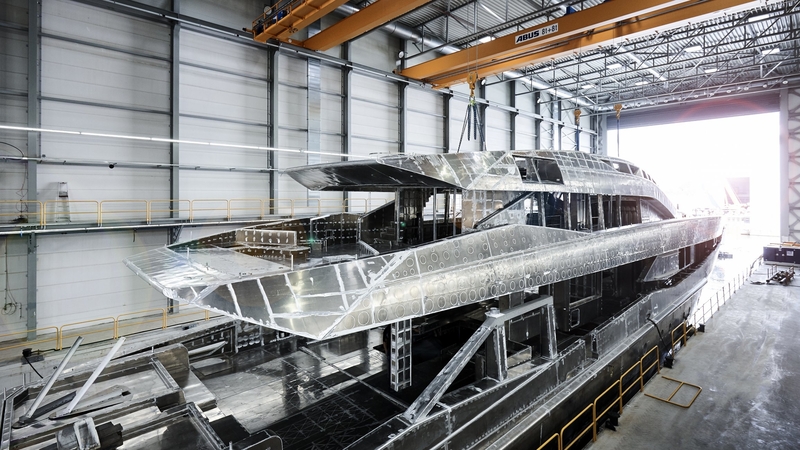 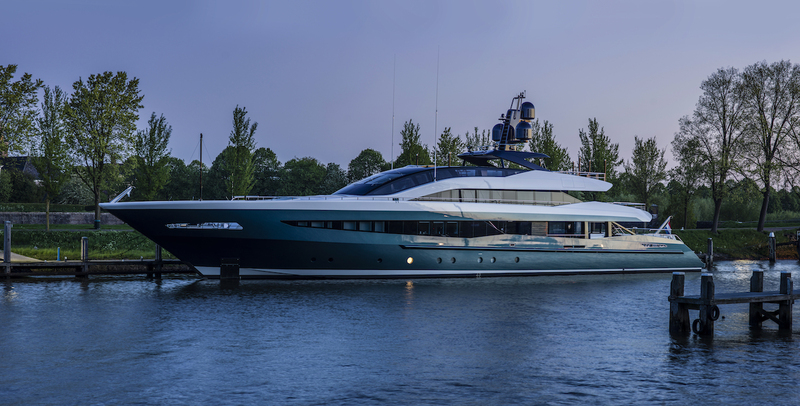 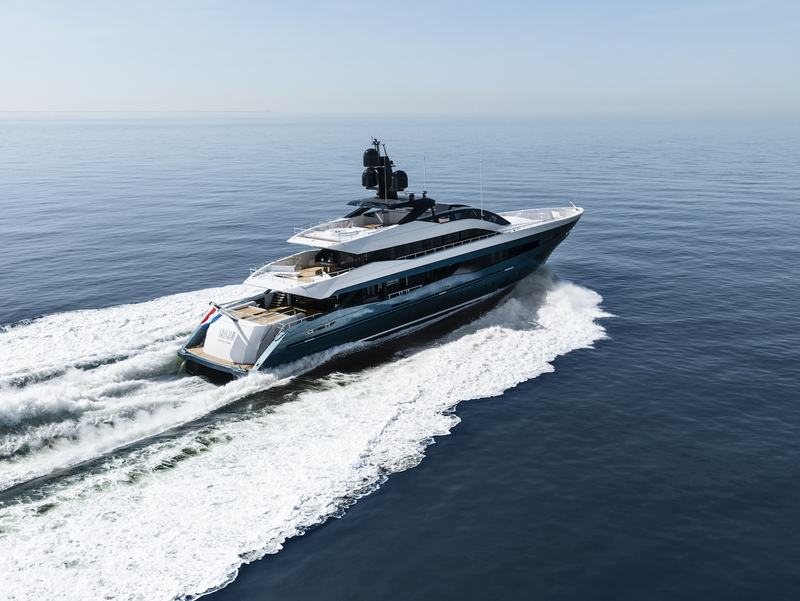 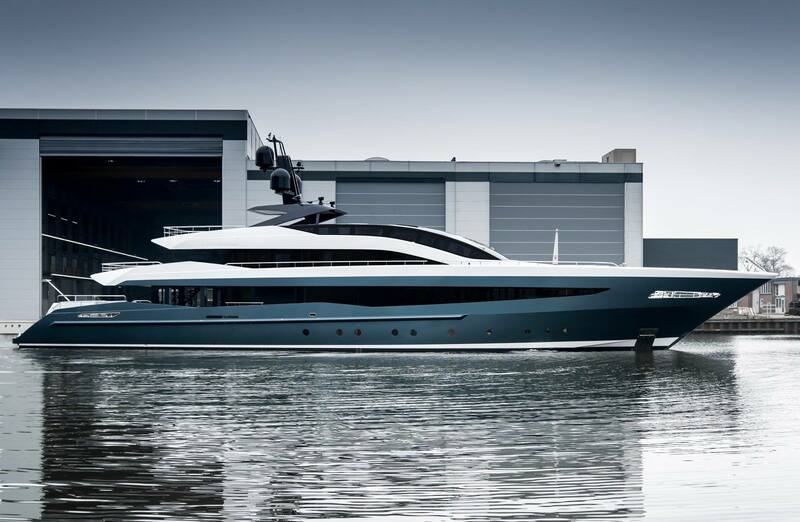 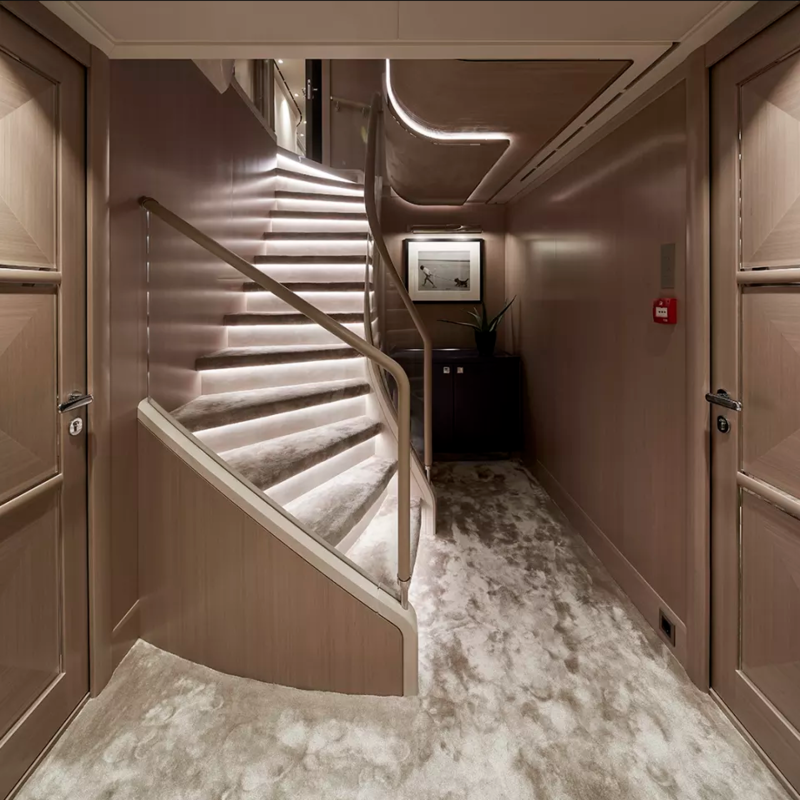 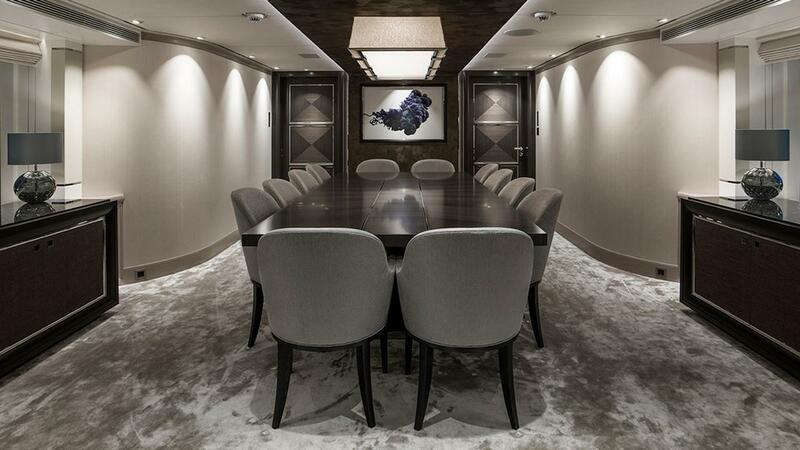 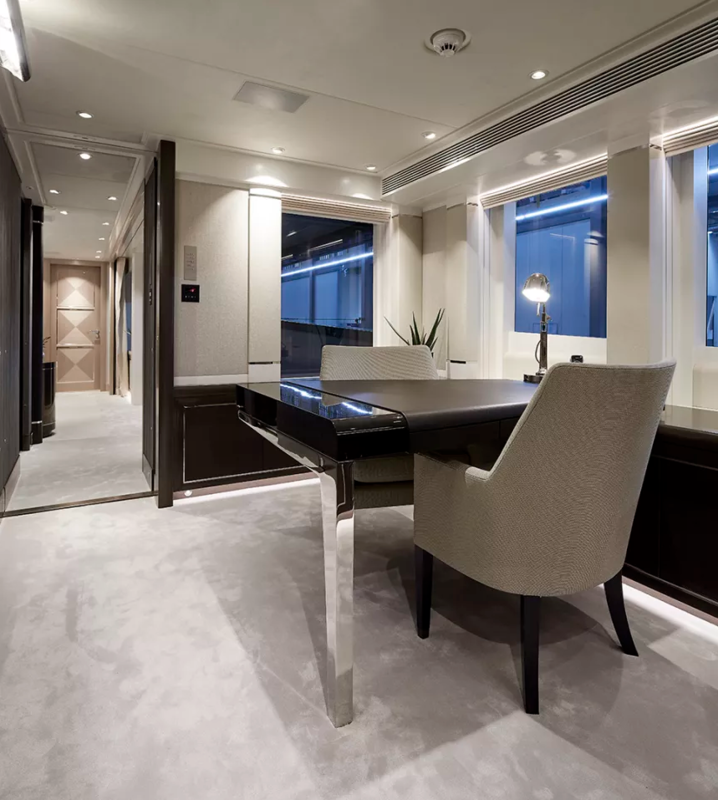 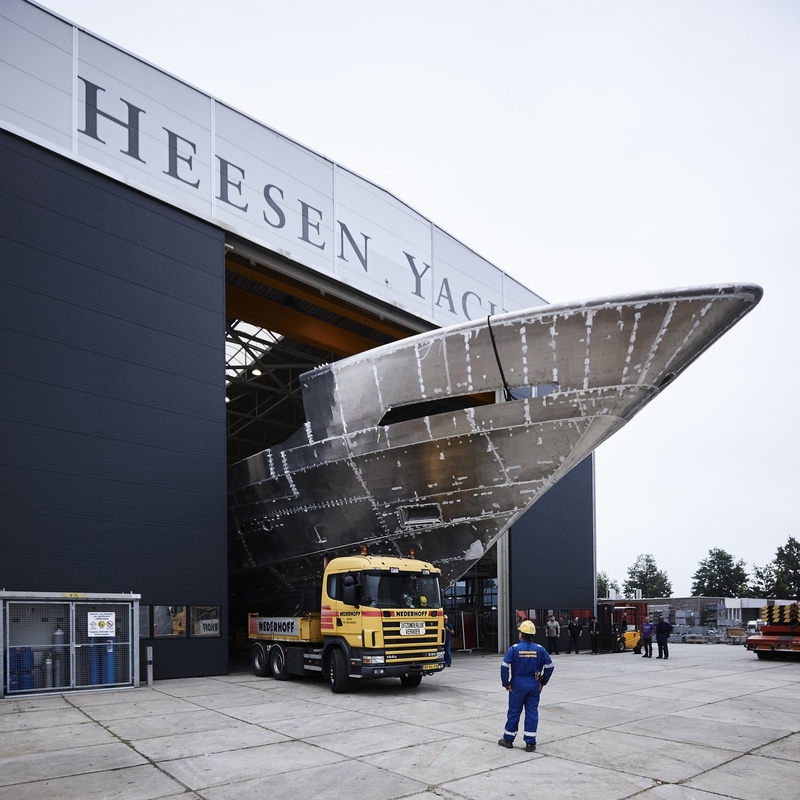 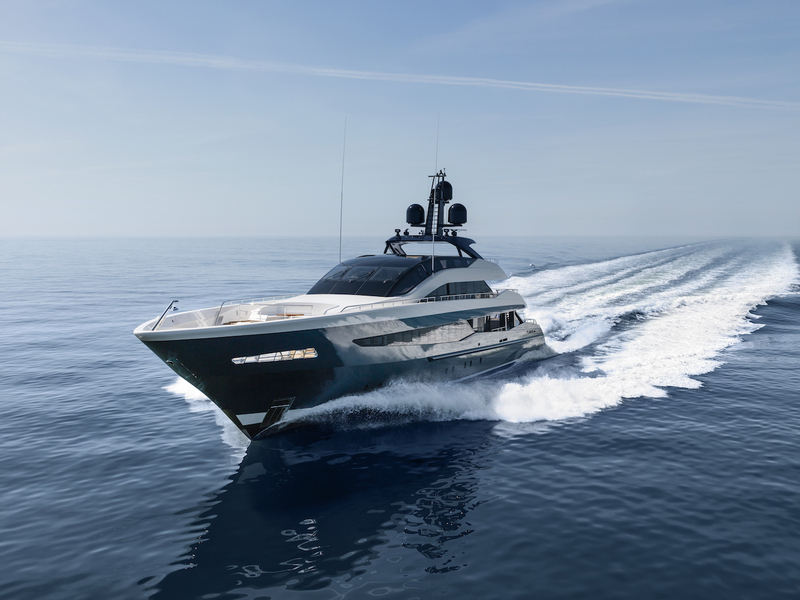 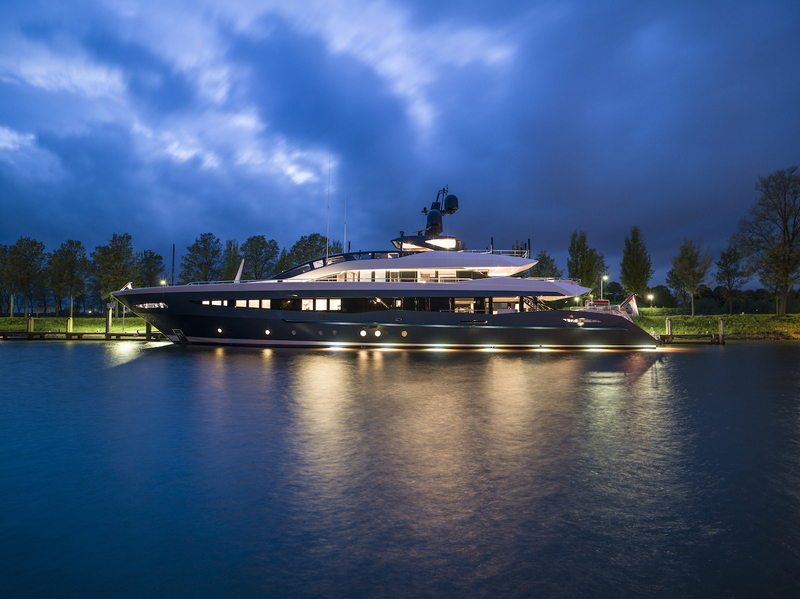 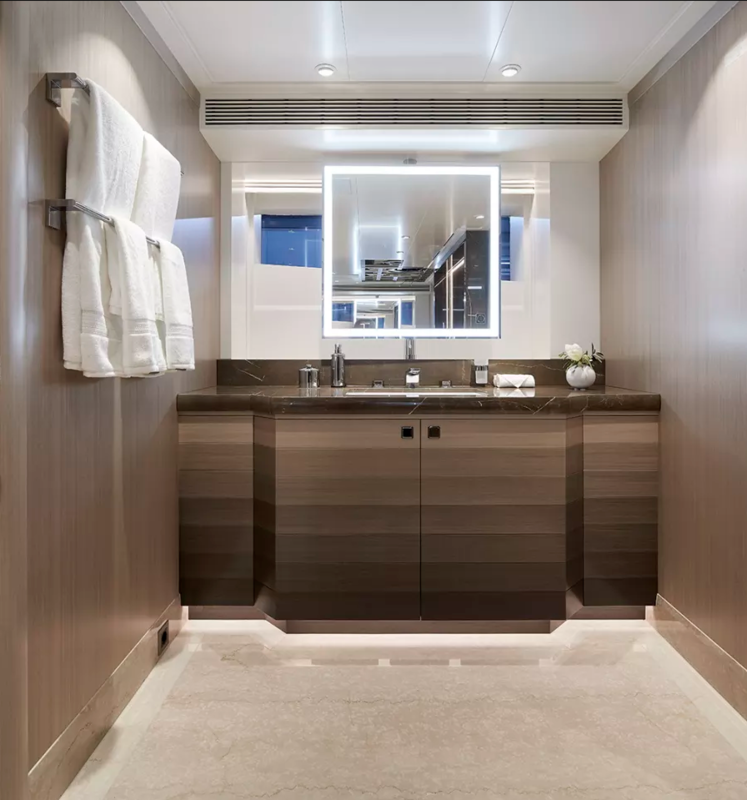 The 51m (167’32’’) luxury motor yacht IRISHA, built under the project name YN18151 by Heesen Yachts was launched in spring 2018. 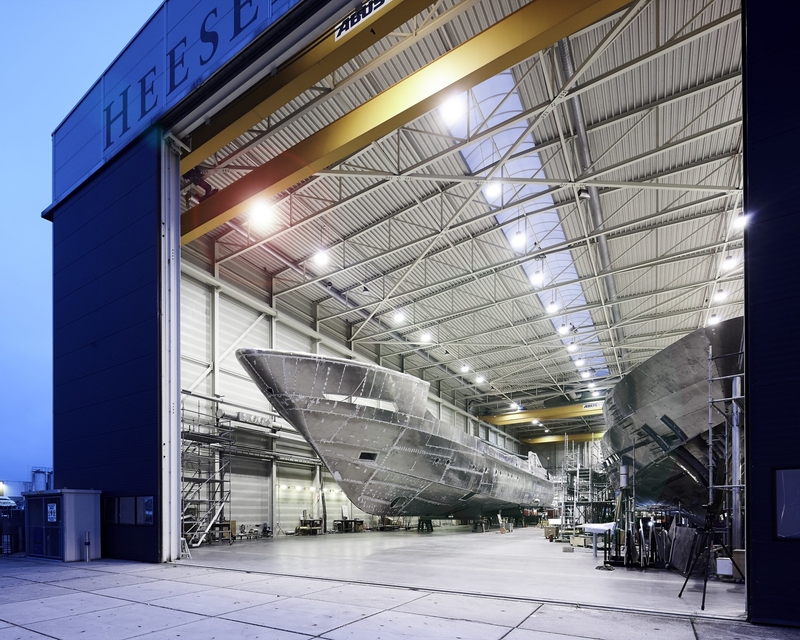 A semi-displacement full-custom lightweight aluminium superyacht, she was designed, both on the exterior and interior by Eidsgaard Design. 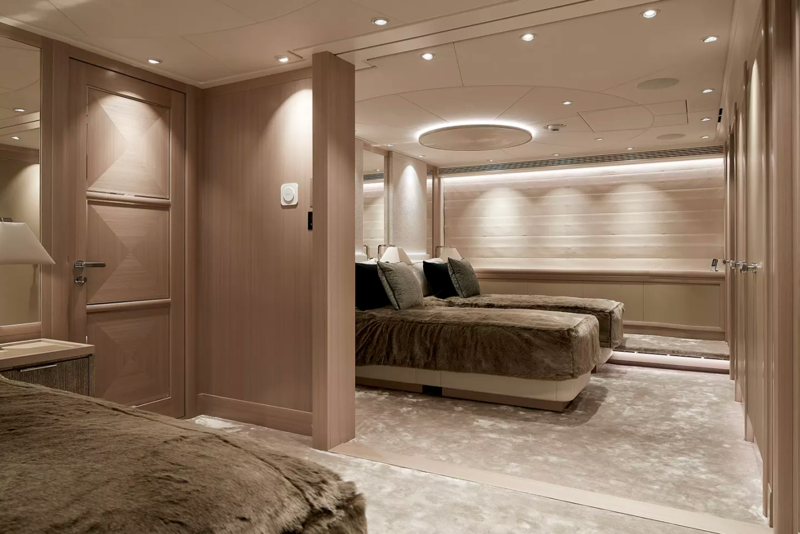 Accommodation for up to ten guests on board spreads over five cabins in addition to accommodation for a crew of 10. 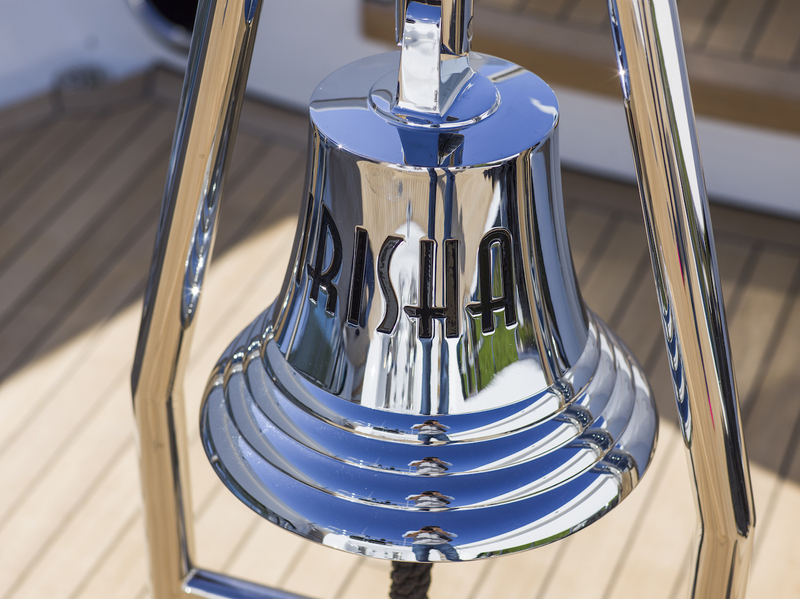 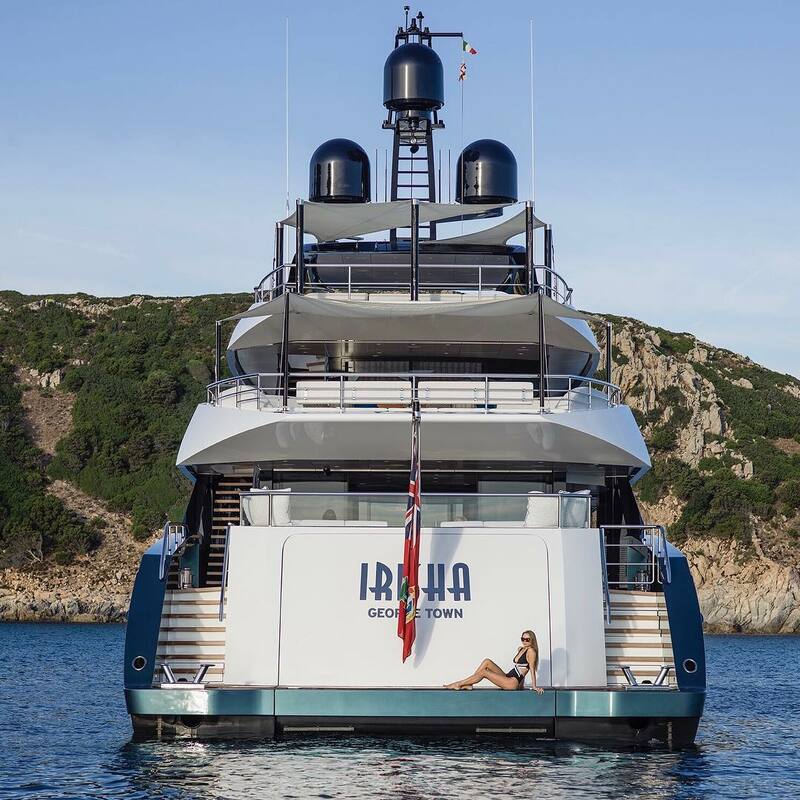 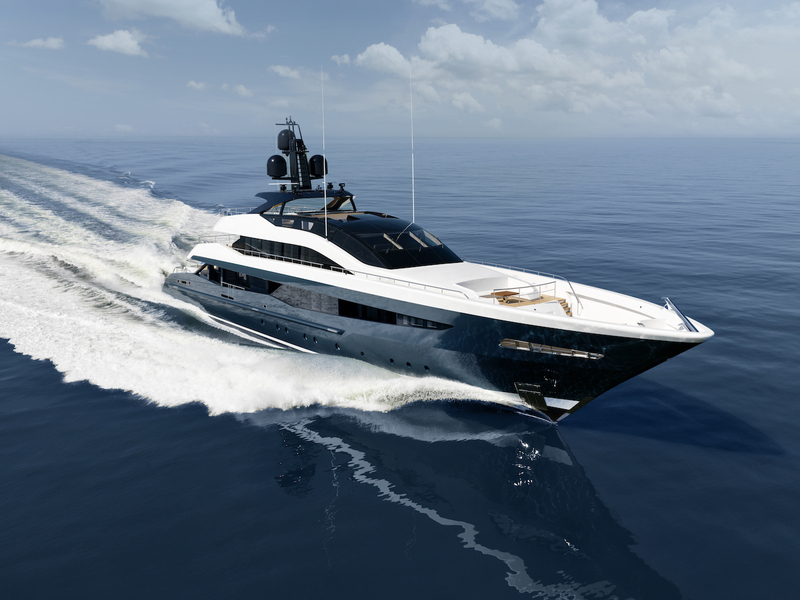 IRISHA attracts with her sleek profile, innovative solutions, powerful performance as well as spacious layout. 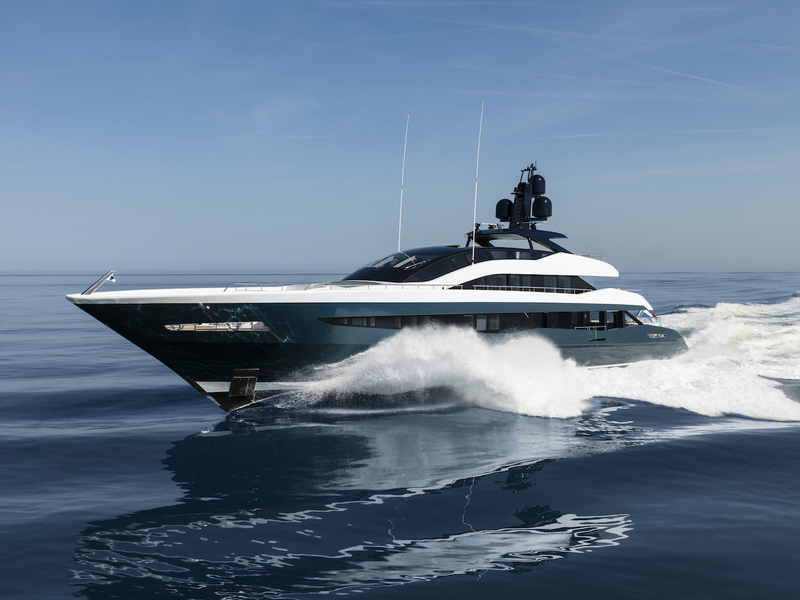 She is stable, fast and built to the highest quality standards. 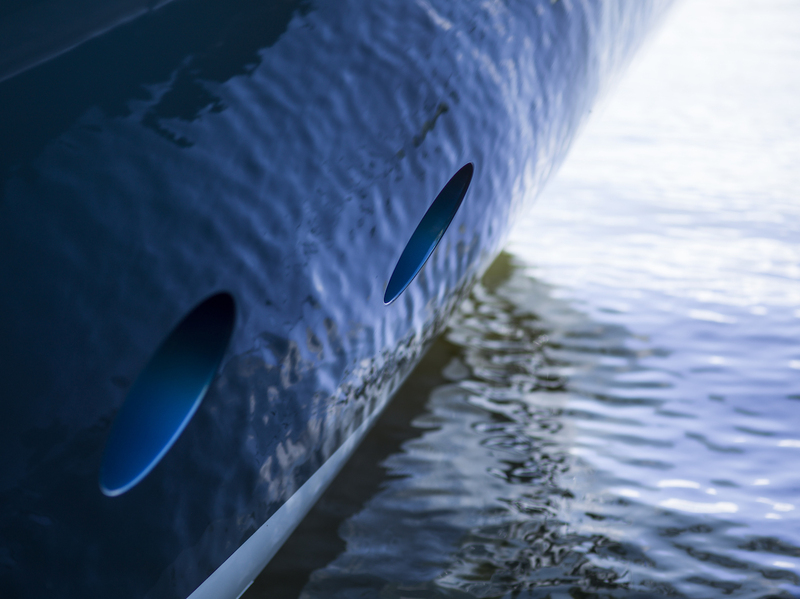 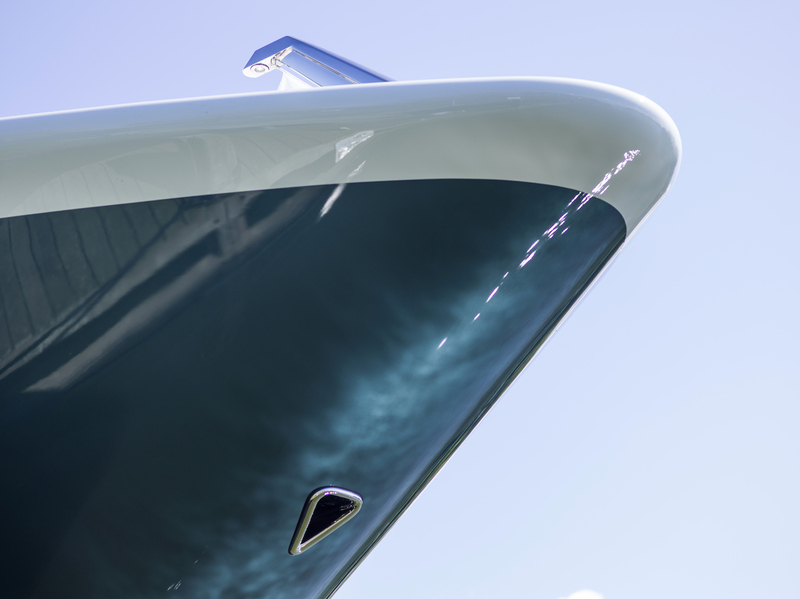 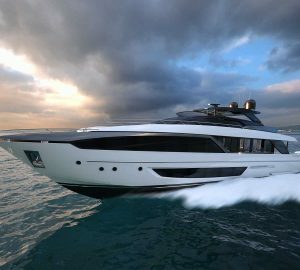 Her striking exterior lines are characterised by the great use of curved glazed areas providing the yacht with an aggressive appearance. 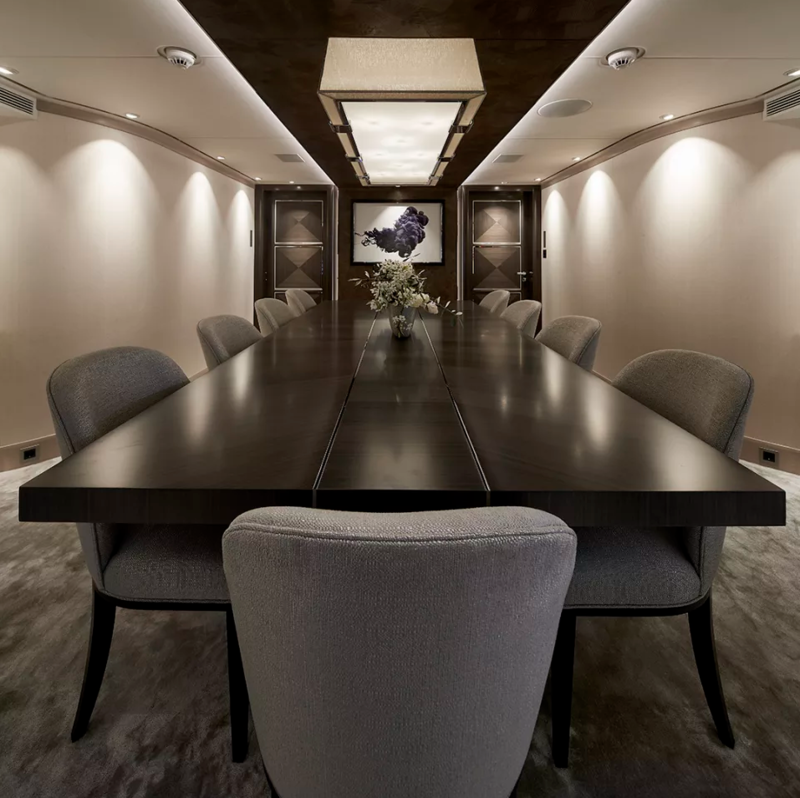 The interior is versatile and offers excellent spaces for socialising, events and group gatherings. 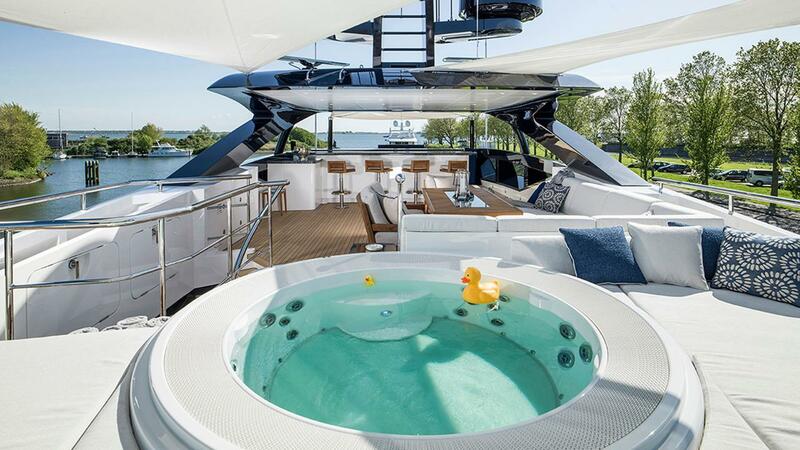 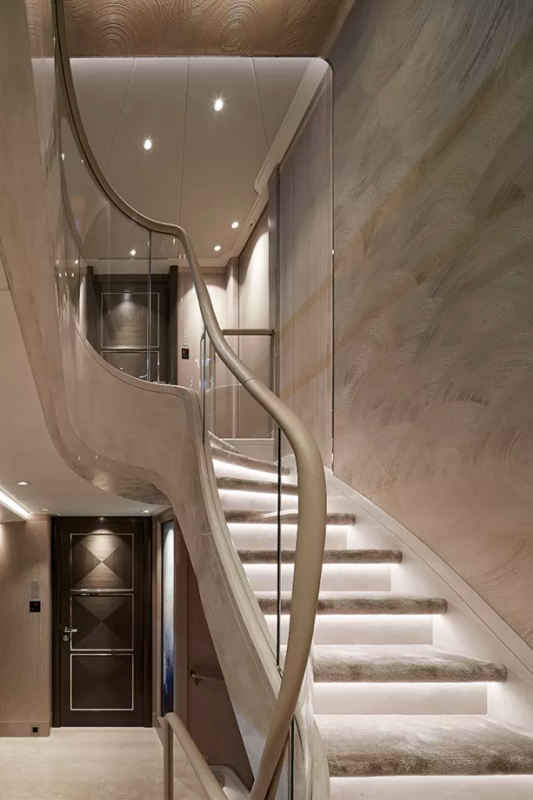 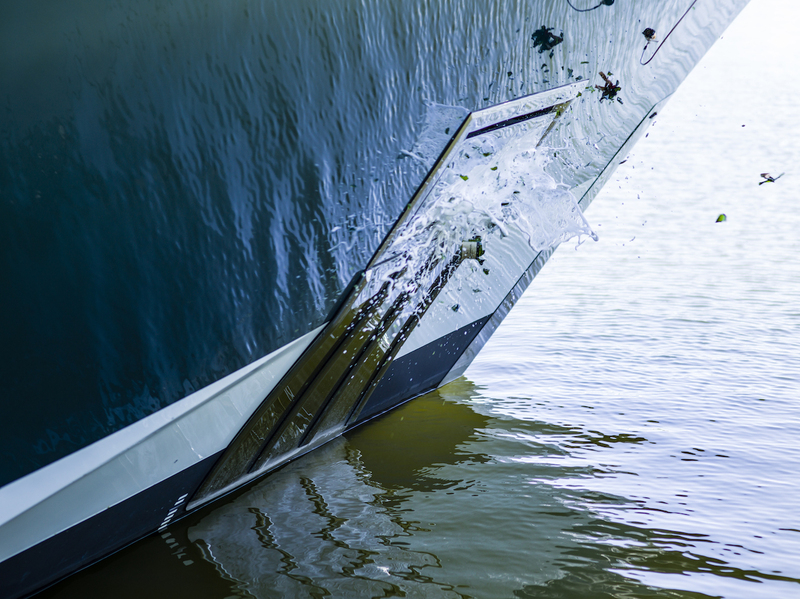 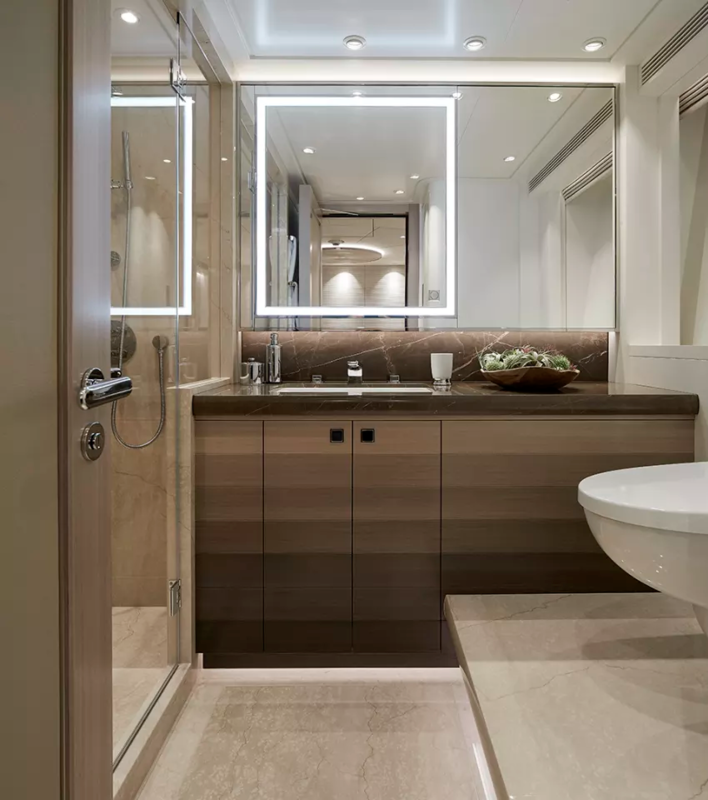 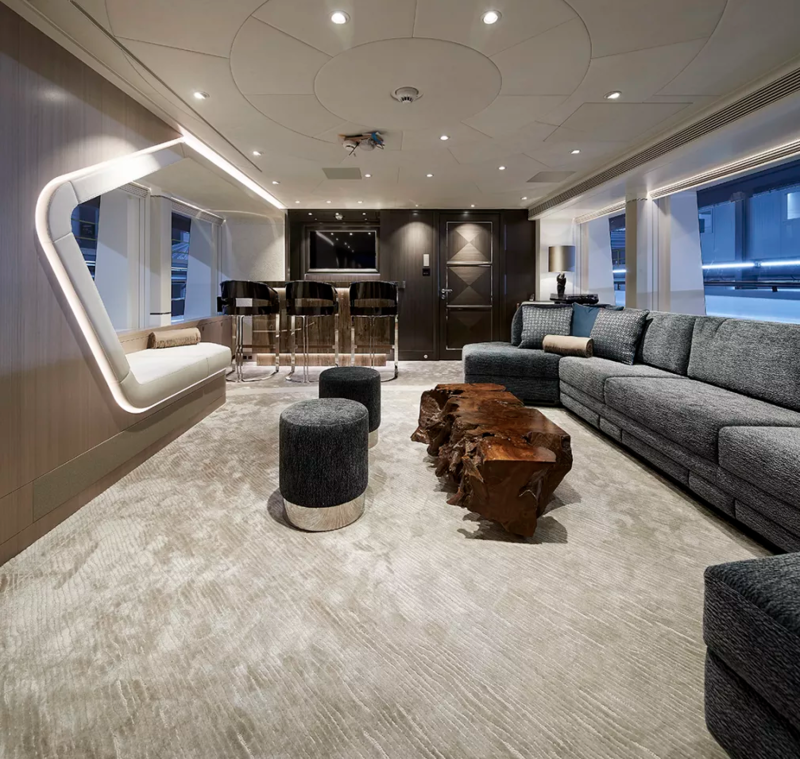 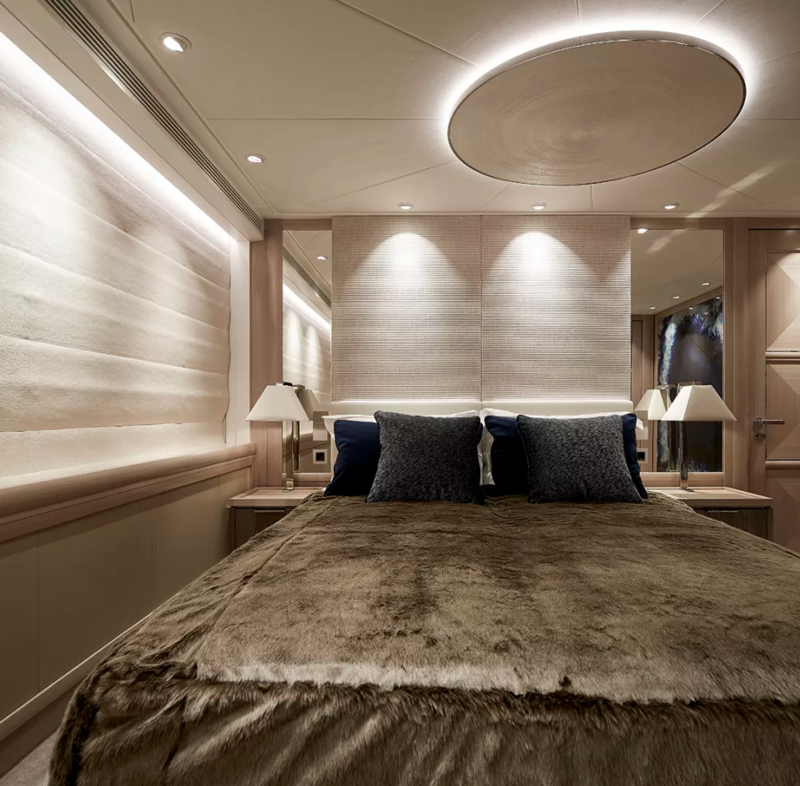 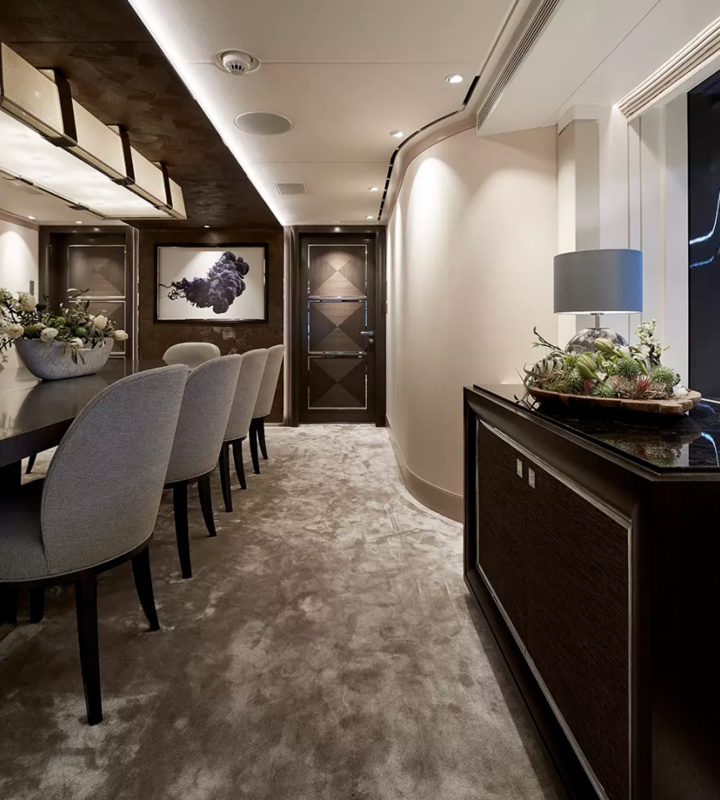 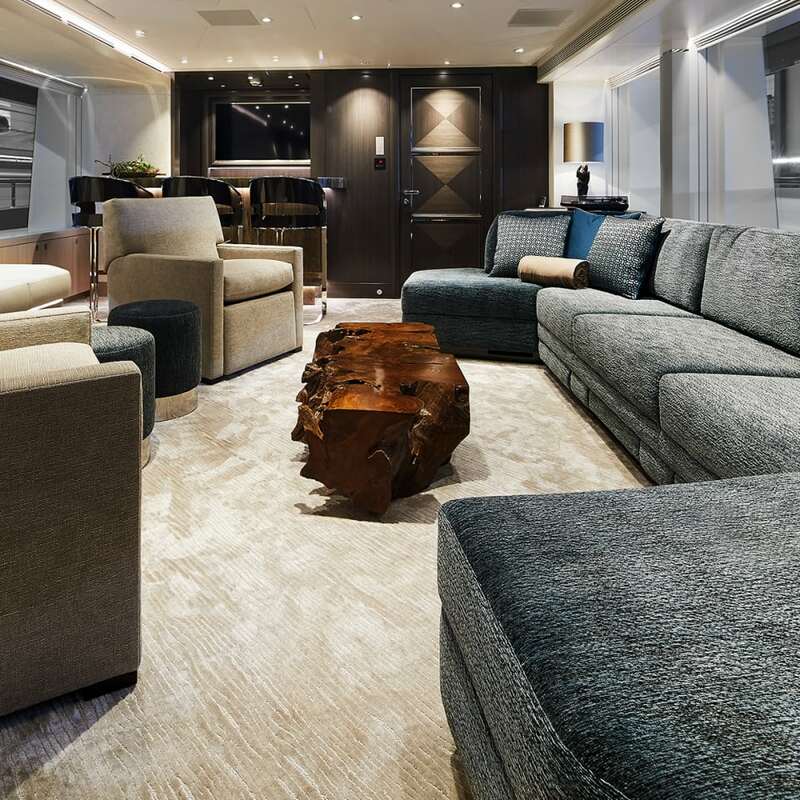 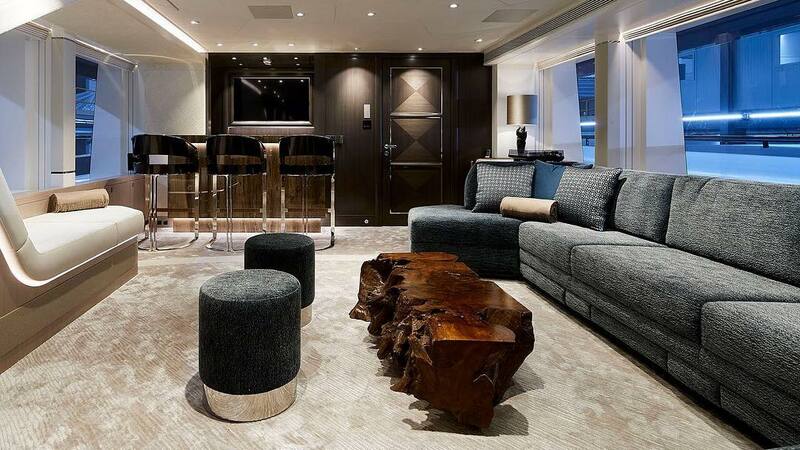 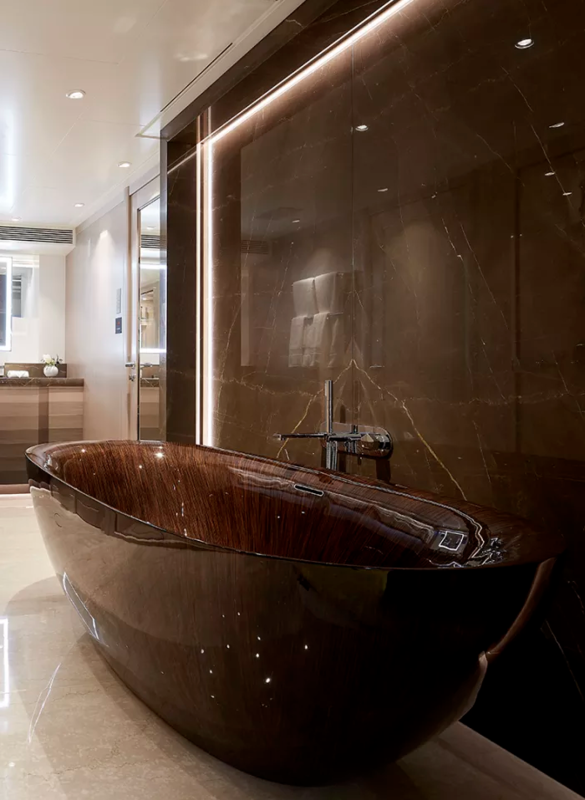 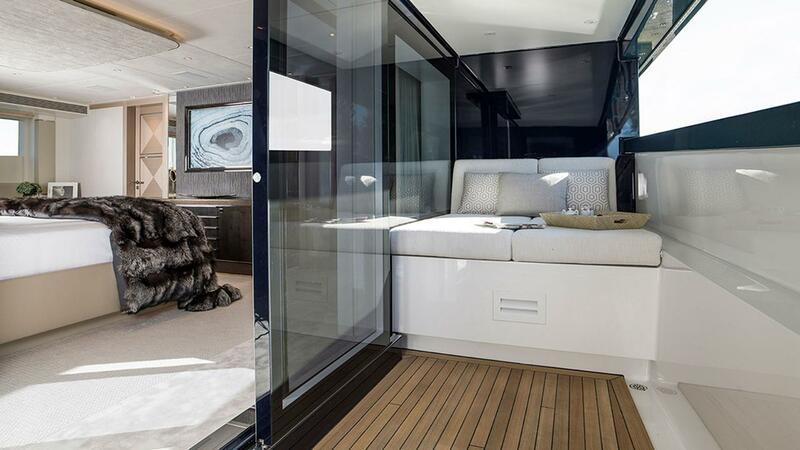 There is a fantastic flow between the outdoor and indoor areas, a feature highly sought after by today’s yachting enthusiasts. 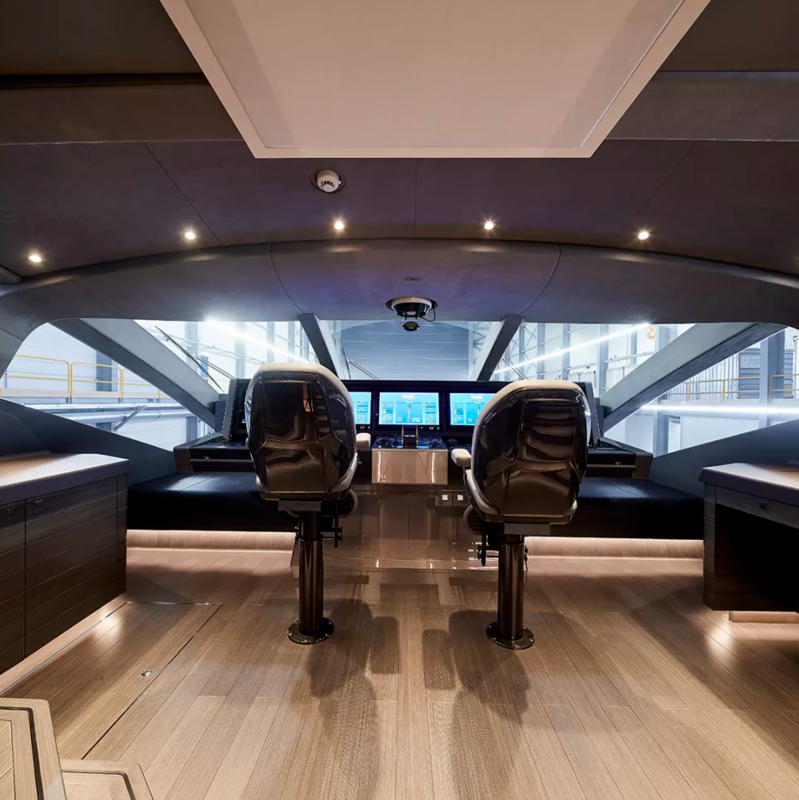 The aft cockpit can be close off thanks to glazed sliding doors, thus creating a protected ‘winter garden’ area. 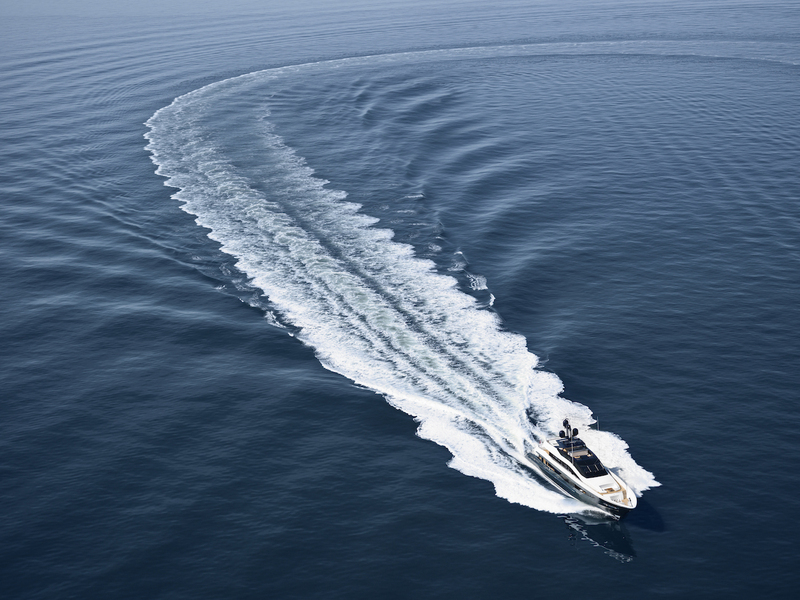 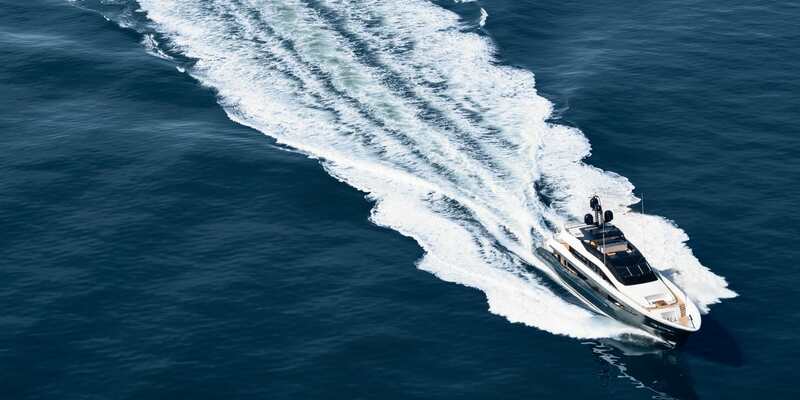 Fitted with two MTU 16V 4000 M93L Diesel engines, she is capable of reaching a top speed of 25 knots, while her range is 2,452 nautical miles at a cruising speed of 11 knots. 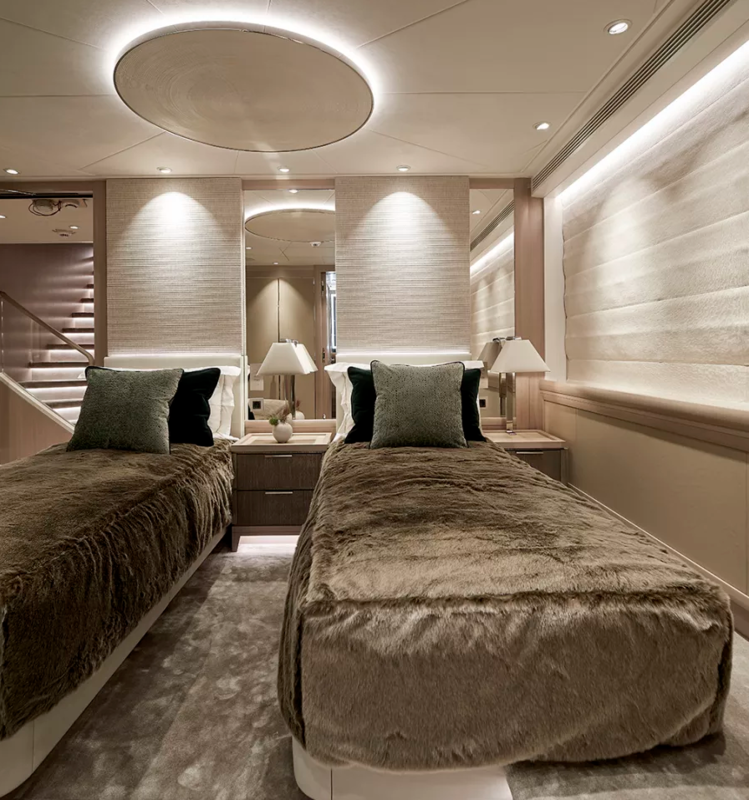 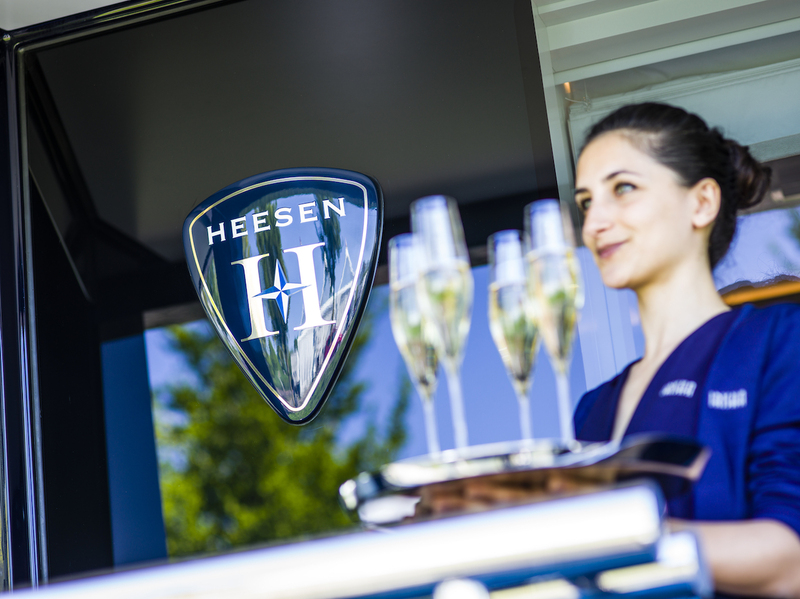 Five beautifully appointed cabins offer accommodation for up to ten guests on board. 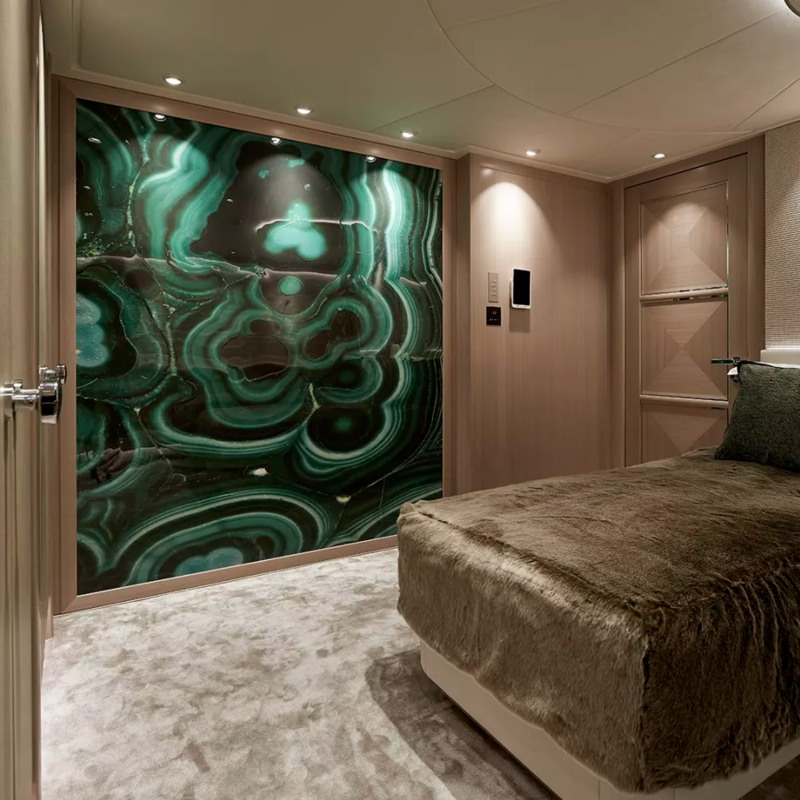 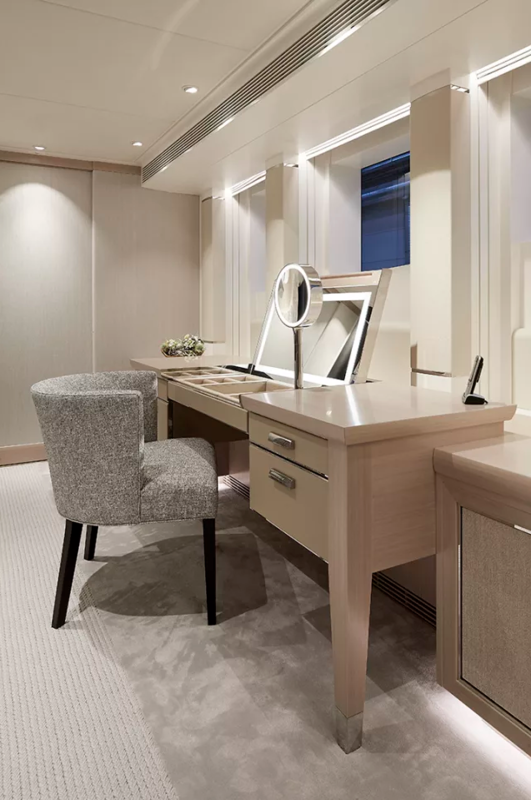 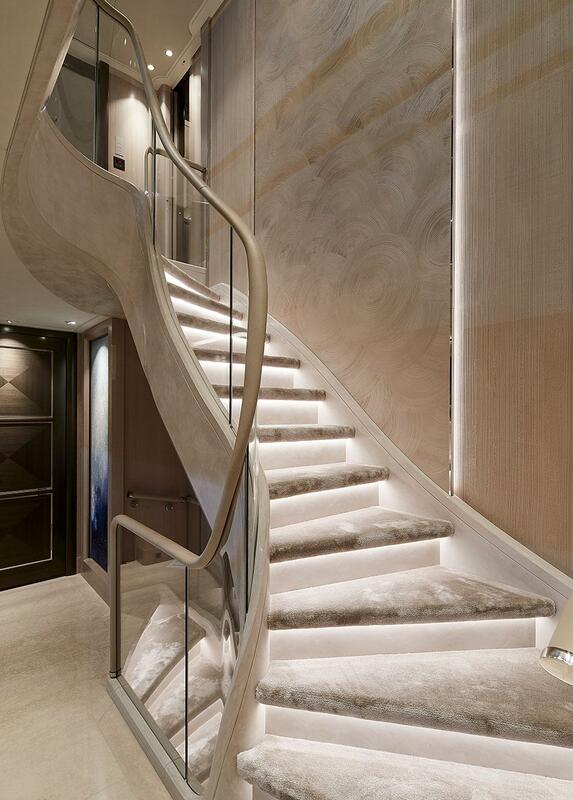 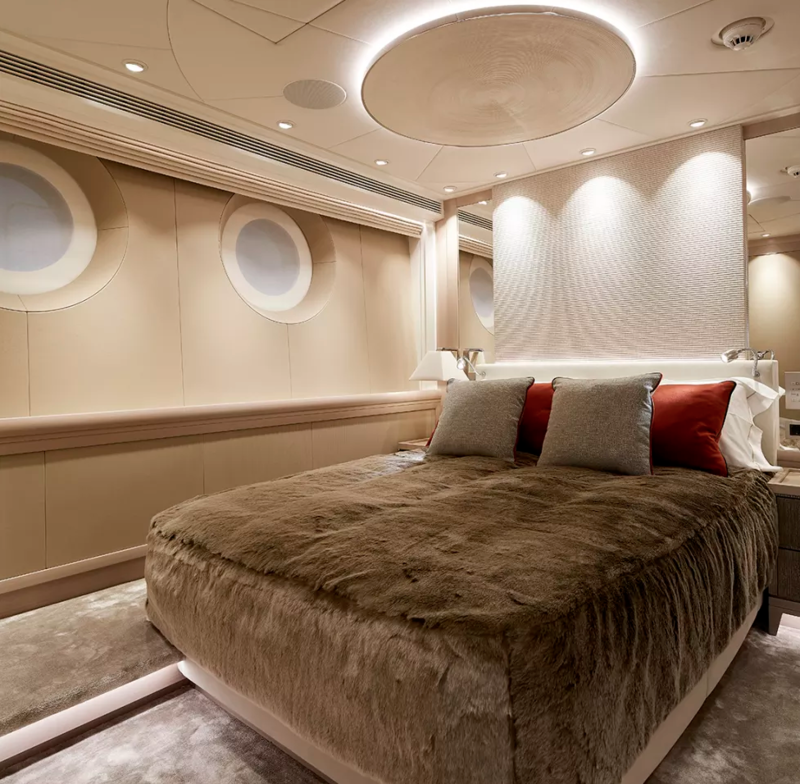 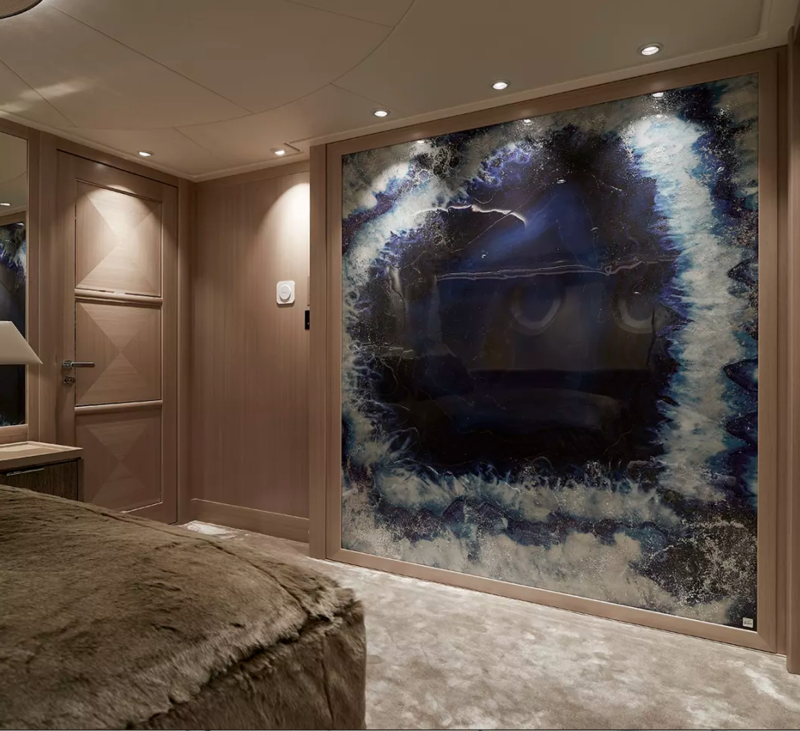 The staterooms include one master suite situated on the main deck forward. 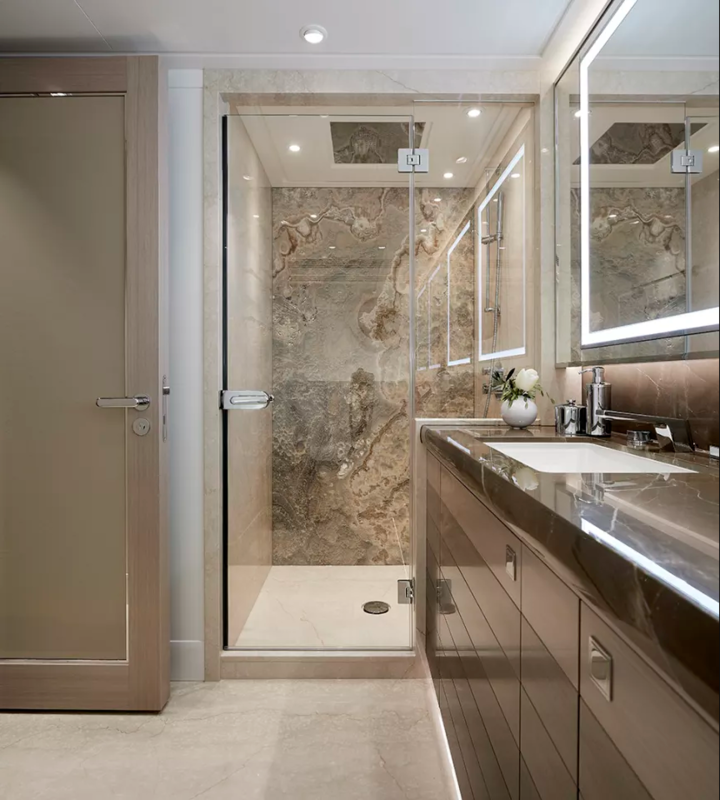 This suite has been fitted with a fixed balcony with glass sliding doors as well as ensuite bathroom facilities and other luxury amenities. 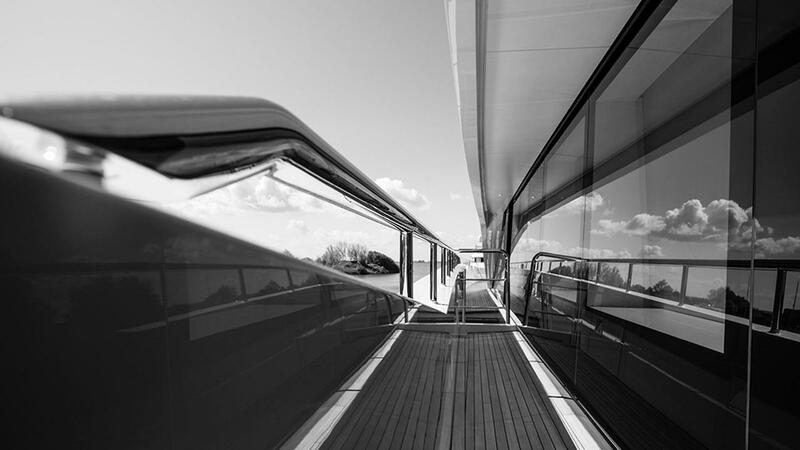 The remainder of the cabins is located on the lower deck, including two double and two twin cabins. 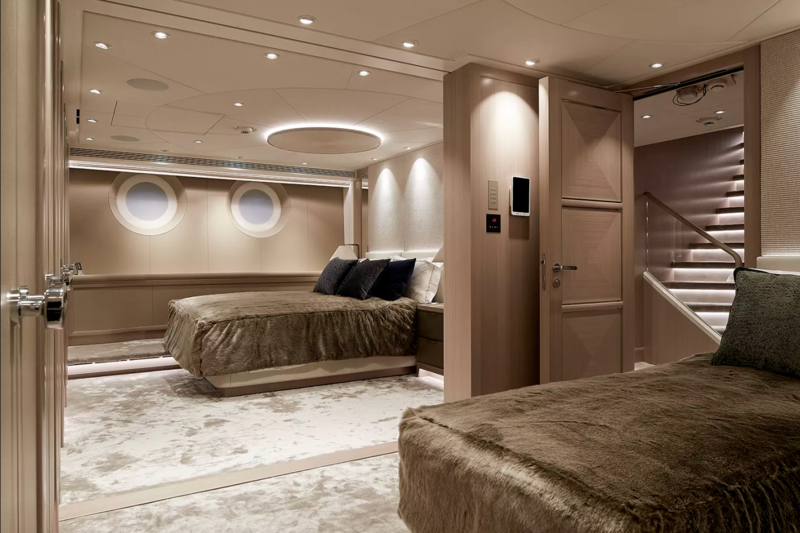 The twin cabins can be converted into a full-beam VIP suite with a double bed and a lounge area with sofa.